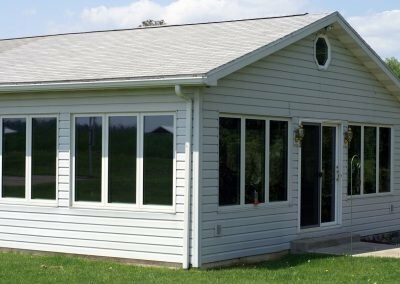 From single left or right out-swing vinyl casement windows to multiple casement window units of up to 6 this style of window combines the ultimate in viewing pleasure with the utmost in structural design. 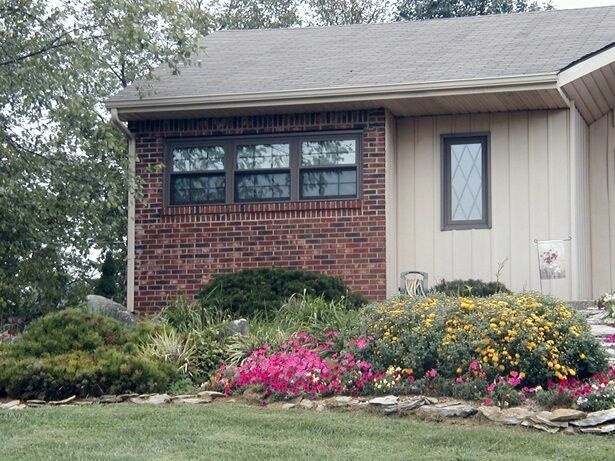 Commercial grade hardware gives every vinyl casement window the ability to open to a full 900. 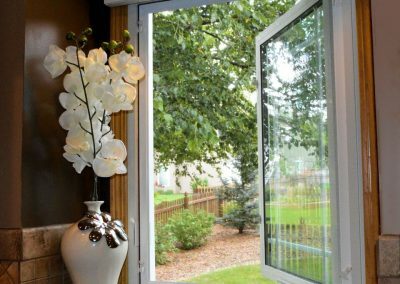 Not only does this allow for easy cleaning, but also gives a maximum ventilation area. 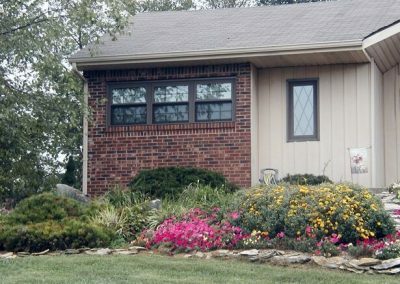 A refrigerator like seal compliments the superior energy efficiency already designed into every Bristol window. 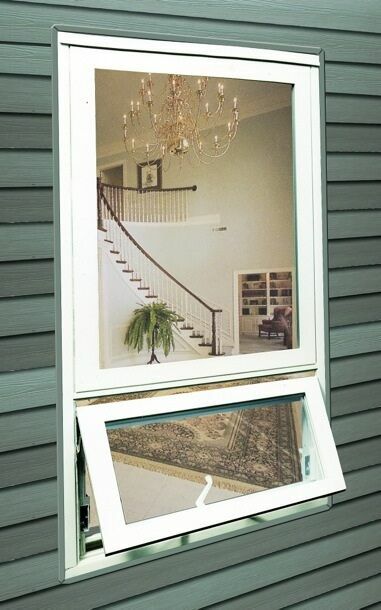 Interior screens with multiple locking points and setting channel never fall out and are easily removed for cleaning. 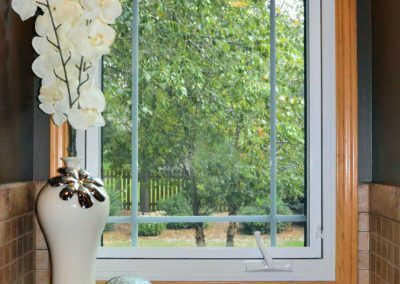 Bristol vinyl casement windows provide two locking points operate in unison. Crank hardware is standard handle style. An optional knob handle design is available. 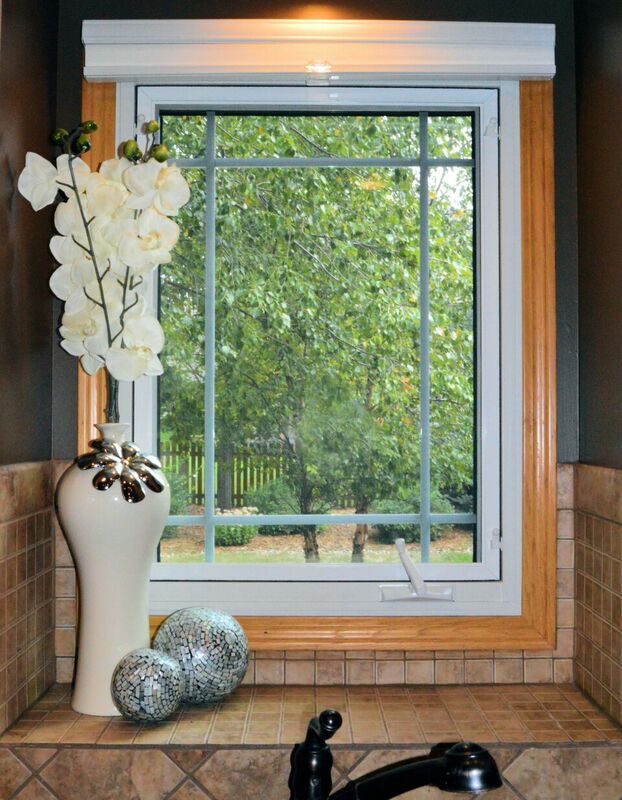 All vinyl casement windows are factory mulled giving you one continuous frame. 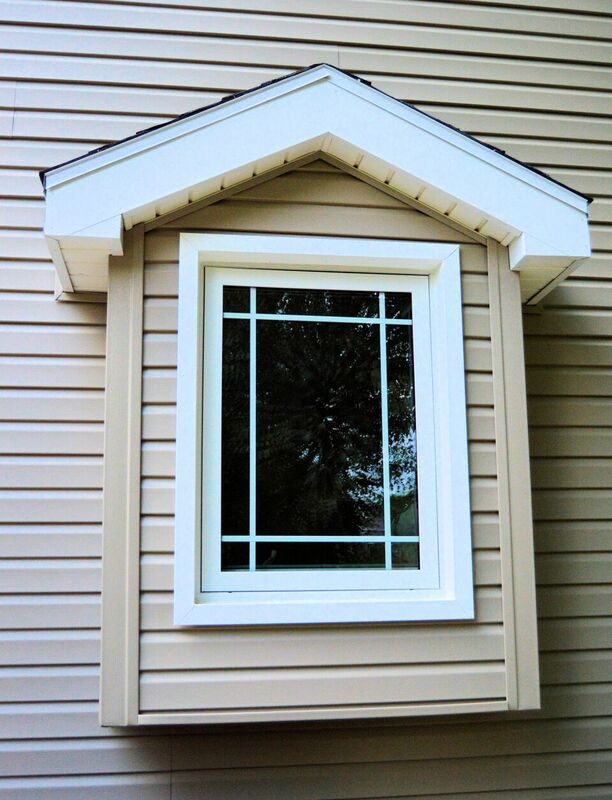 Vinyl casement windows add a beautiful touch to any bay or bow window unit. 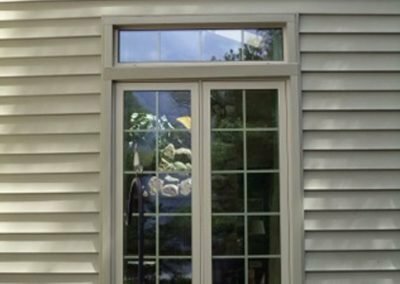 Viewing from floor to ceiling is obtainable with Bristol casements. 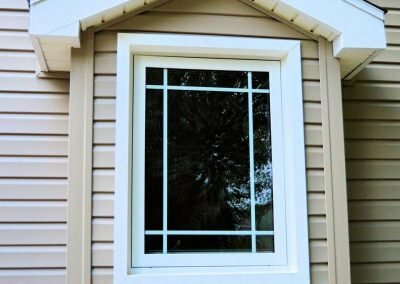 Be creative and add a circle top or transom above these gold medal vinyl casement windows and you’ll have a view that others envy. 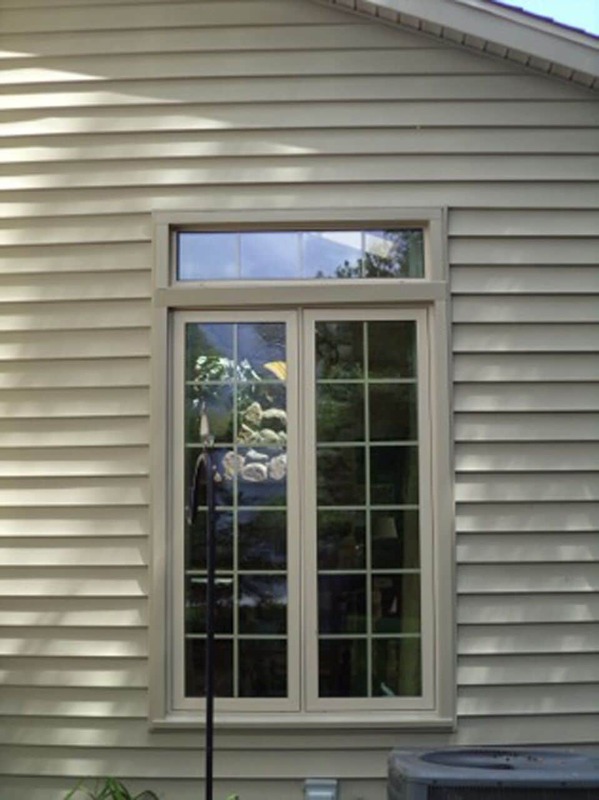 White, beige, brown or white, beige and brown exterior with wood-grain interior will add a touch of class to any opening. 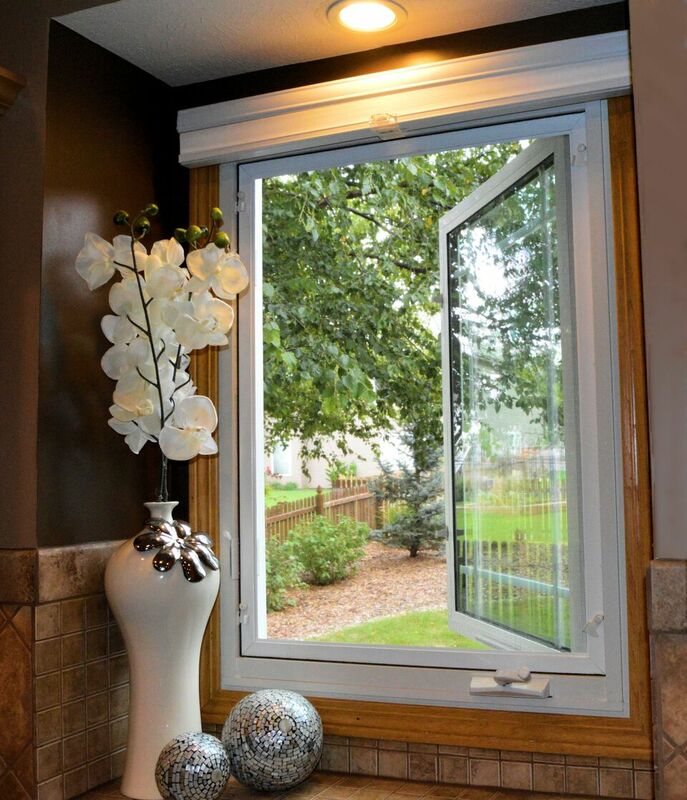 Decorative glass or grid patterns will add your personal touch. 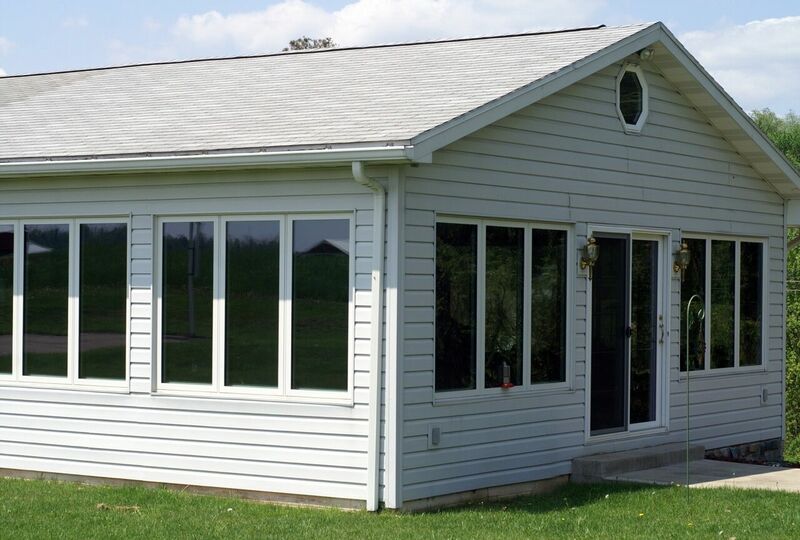 Vinyl casement windows are the perfect choice in creating your very own sun room.